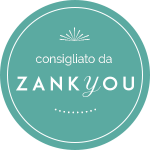 DIANA DA ROS EVENT PLANNER SU WEDDINGPLANNERMAGAZINE! Scopri i nostri nuovi trend per i Matrimoni 2016 su Wedding Planner Magazine! So happy to be featured on Wedding Planner Magazine! Read the article about new trends!